I sit here on the last day of November arguing with time. How dare you go by so fast! Give it back! Looking back on this month I could sit here and focus on the things that I lost, the things that pissed me off, the things that caused so much stress, and the things that didn't go my way. My ongoing struggle is expressed in this quote: feeling gratitude in the common days and recognizing blessings in the ordinary opportunities. You see, the words "common", "ordinary," and "mundane" infuse my heart with fear. I believe those words lead to complacency and to me, that's horrifying. When I told my boyfriend Ray how scared of I am of being complacent in life his response was, please, you've got too much mouth and too much attitude to be complacent. I suppose that mouth and attitude should be focused more on recognizing what I'm thankful for than what I'm fearful of. I can say with certainty that my gratitude is a requirement even through the exigencies of life. It's imperative that I remain in this constant state of thankfulness when my heart isn't quite there most of the time. My awareness of this is progress and for that I am grateful. It helps me to pull back whenever my emotions are in turmoil and take deep meditative breaths until I can sit in the present moment. I've learned that the way I react to situations or my interpretation of them create undue stress. The kind that incapacitates me during this time of year. This year I cut off all ties to every single emotional vampire trying to sink their fangs into me. I can now navigate through life with more energy instead of feeling drained from their poison. Accepting certain situations has also made a tremendous difference in the way I approach my day. I can't run any longer so instead of resisting that reality I've created several workouts on the treadmill, elliptical, and stationary bike to meet my cardio goals. Sure, speed walking outdoors doesn't give me the adrenaline rush I crave but seeing my body get fit again alleviates the doldrums. Yes, there is much to be thankful for. So many people in my life I am beyond grateful for and it goes without saying. 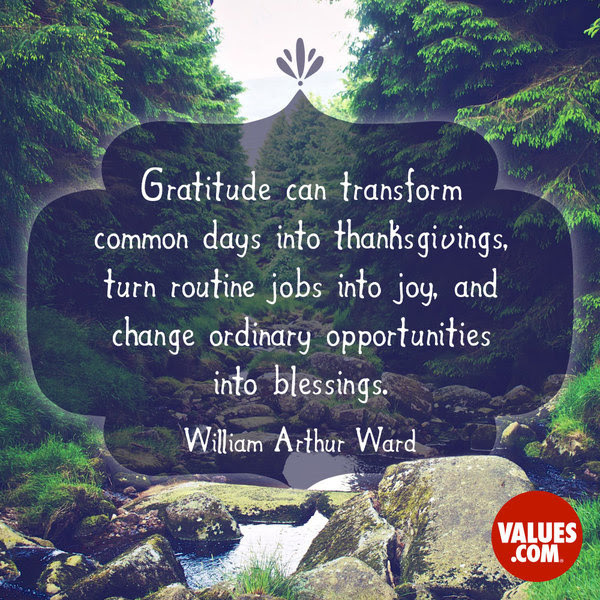 What I have to remember is that Thanksgiving isn't a once a year holiday but a daily practice of staying in a state of gratitude in the midst of chaos, or peace, or stress, or the mundame. Happy Thanksgiving to you now and always.